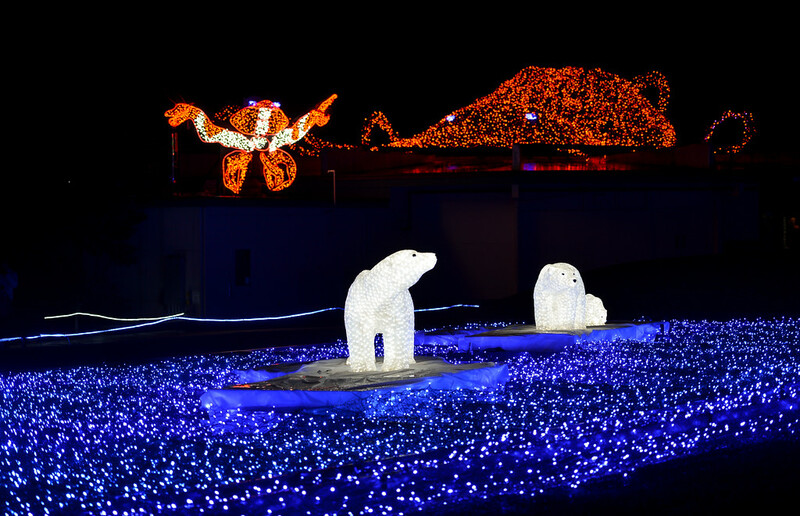 Woodland Park Zoo's annual holiday lights show features wild animals and exotic destination scenes illuminated by more than 600,000 LED lights. Santa will also be visiting WildLights every Friday–Sunday during the lights festival and also Monday–Thursday, Dec. 19–23; you may stop by Santa's camp to say hello and get your holiday photo (packages for purchase). There is also a holiday wine and beer garden for guests 21 and older, reindeer to visit (at the shelter near the carousel) and take a night ride on the zoo's historic decorated carousel ($2/ride). Once again, the Zoomazium becomes Snowmazium, with evening story times and "snowball" fights. Special nights this year include "Pokemon Go Night" on Nov. 30 and "Seahawks Night" on Dec. 12. Details: Open nightly from Nov. 25–Jan. 1, from 5:30–8:30 p.m. (zoo grounds open until 9 p.m, closed Dec. 24–Dec. 25). Tickets cost $7.95–$9.95; ages 0-2 free. Buy online. There are several family-friendly eateries within walking distance of the zoo, including Zeek's Pizza and Phinney Market Pub & Eatery (with a play area!). 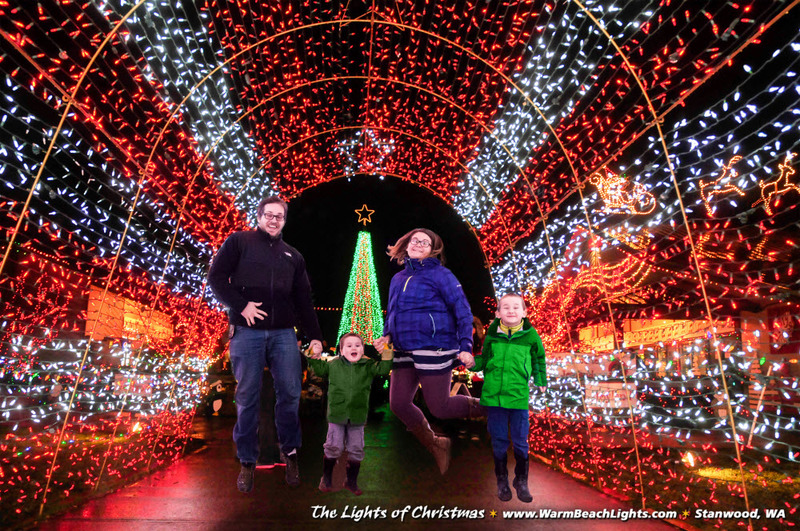 Bellevue Botanical Garden's annual lights show is stunning, affordable and a bit wild (don't let your toddler run too fast ahead of you on that dark garden path). 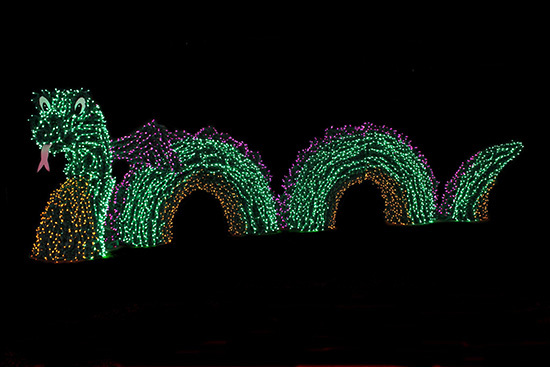 Over half a million sparkling lights are twisted by volunteers into fanciful flower and critter shapes; don't miss finding Charlotte, Willie the Slug or the smoking dragon. Visit early in the evening (or very late) to avoid crowds. Details: Open nightly Nov. 26–Dec. 31, from 4:30–9 p.m. Tickets are only $5; ages 10 and under free. Reserve tickets online to avoid long lines. Free-admission nights are Nov. 30, Dec. 1, 2, 3, 7, 8, 9 and 10 (expect a wait). Premium parking is available for $5 in the garden lot or park for free at Wilburton Hill Park. This classic display of lights decorating dozens of trees and shrubs along a walkable one-mile path in Gene Coulon Memorial Park, at the southern tip of Lake Washington, is free of charge. The fun kicks off on Friday evening, Dec. 2 with the official lighting ceremony, complete with photo opportunities with Santa and friends (6:15–8 p.m. — bring your camera), live entertainment, the Rainier Yacht Club's Parade of Boats (7:30 p.m.) and an appearance by the Argosy Christmas Ship with a performance by the Dickens Carolers (8 p.m.). Kids will love running the boardwalk trails at the park. Details: Open nightly from Dec. 2–Jan. 1, from 5–9 p.m. Free. If you're hungry or need a warm-up, Ivar's and Kidd Valley are right there. 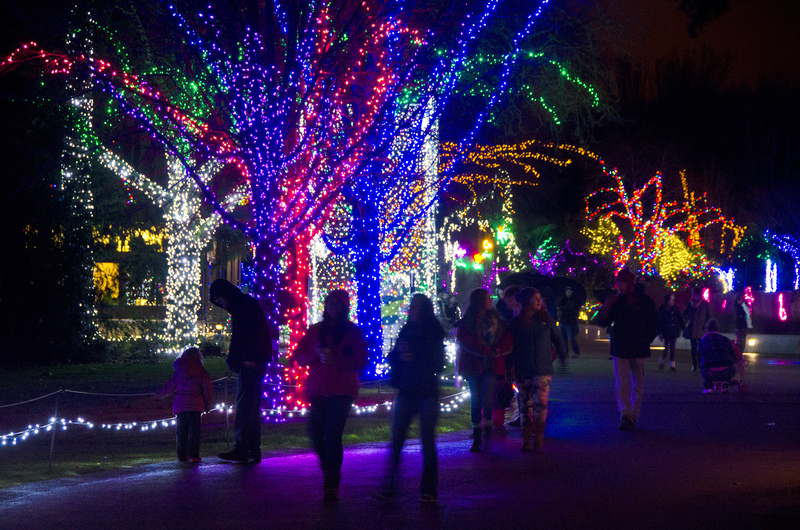 One of the region's most beloved displays, Point Defiance Zoo & Aquarium's spectacular show comprises more than half a million LED lights. The scenes range from old favorites such as the green-and-purple flame tree and huge roaring tiger to newer scenes such as the 15.5-foot-tall Mount Rainier, the happy polar bear family, and the 12th Man Seahawks tree. New displays include hammerhead sharks, a giant Pacific octopus, a huge rock crab with moving pincers and a tranquil marine life scene. Kids can also see live animals including sea creatures, goats, and meerkats. And don't forget evening camel ($7) and carousel ($1.50) rides! Details: Open nightly from Nov. 25–Jan. 1, 5–9 p.m. (closed Dec. 24). Tickets cost $8.50–$10 for non-members, $5 for members; under age 2 free. 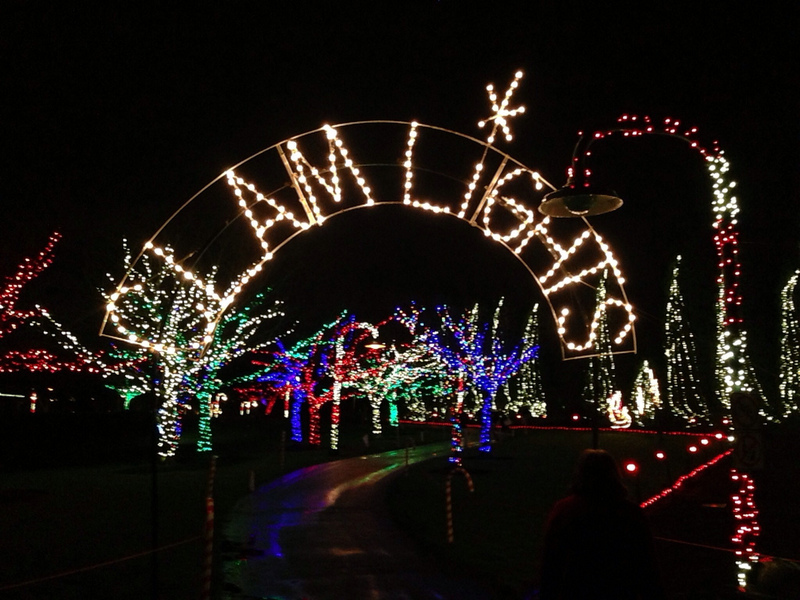 Buy online or at Fred Meyer stores for discounts and you can also purchase a combo pass at the front gates for both daytime entrance to the zoo and Zoolights. Stop by the Antique Sandwich Company (on Pearl Street) for a bite on the way, or the cafe at the zoo. If Tacoma is a trek for you, make a day of it and hit the museums in downtown Tacoma, from LeMay-America's Car Museum to the Tacoma Art Museum to the pay-as-you-can Children's Museum of Tacoma. 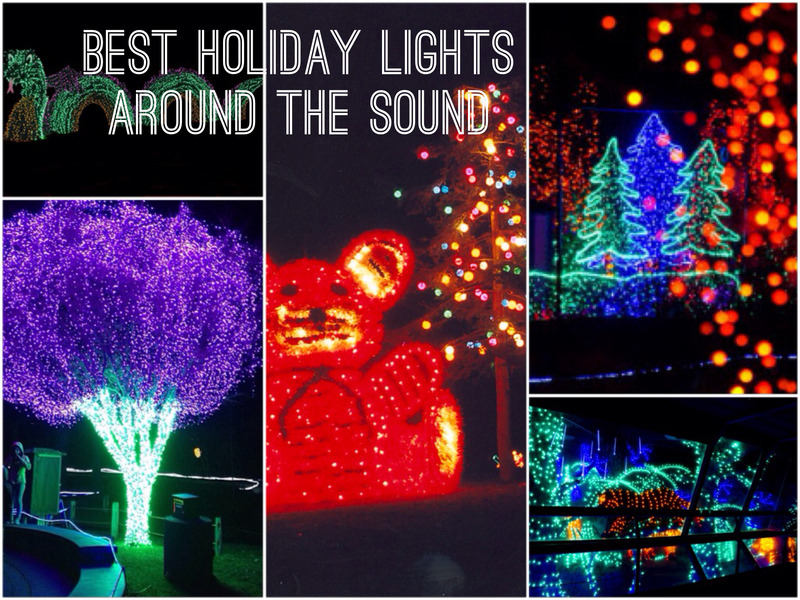 This two-mile display is the largest drive-through light show in the Northwest, now in its 22nd year of delighting families with hundreds of holiday scenes along the lake. Highlights include Santa and Rudolph sailing a tall ship, a reindeer leaping over your car and a giant tail-wagging dog. Tune your radio to 95.3 FM to enhance your trip with a special selection of holiday music. Tip: This popular event typically has an hour wait on Friday and Saturday nights, so try weeknights for a less crowded drive. If your family is into antique cars, consider combining it with a trip to see the nearby LeMay Family Collection at Marymount Event Center (open Tuesday–Sunday). Details: Tickets start at $14 per vehicle; Visit the admissions webpage to learn about discounts and scroll down for a $3 coupon. Half-price nights ($7) Nov. 28–30 and Dec. 5–7. Open nightly from Nov. 24–Jan. 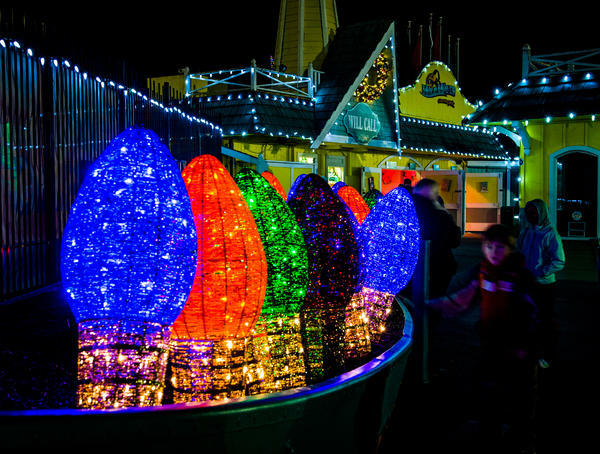 1, from 5:30–9 p.m.
Wild Waves' holiday lights extravaganza features more than one million lights and 25 rides and attractions. 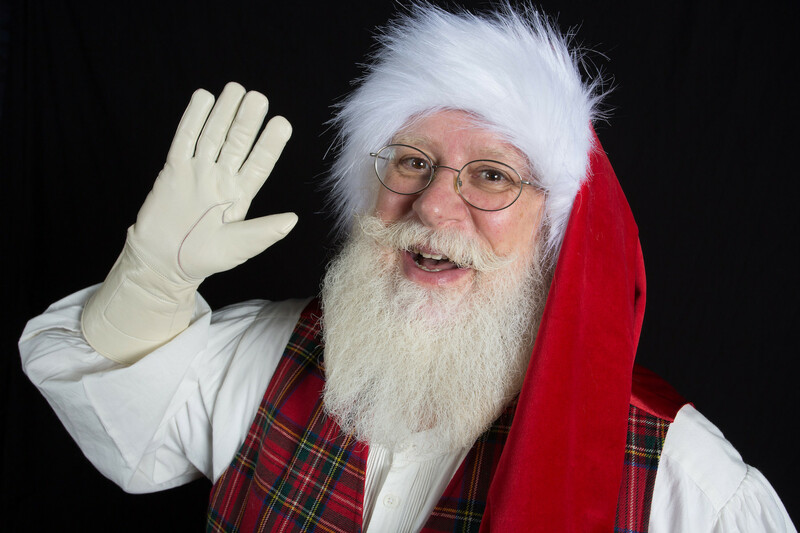 Through Dec. 23, kids can visit Santa’s Workshop in the North Pole to get a photo. Little elves 12 and under will love Toyland, where they can play in a falling snow tent, make holiday crafts and more. Enjoy nightly sing-alongs at 6 and 8 p.m. with Frosty the Snowman and Rudolph the Red-Nosed Reindeer. Indulge in some tasty snacks at Mrs. Claus Espresso (Hot Cocoa with Mrs. Claus! ), the Candy Factory or Disk'o Eats and Treats. Details: Open Dec. 3–4 and 11 from 5–9 p.m., Dec. 9–10, 16–23 and 26–31 from 5–10 p.m., (Park closed Dec. 24–25.) Tickets are $9.99/person online, with other discounts available. 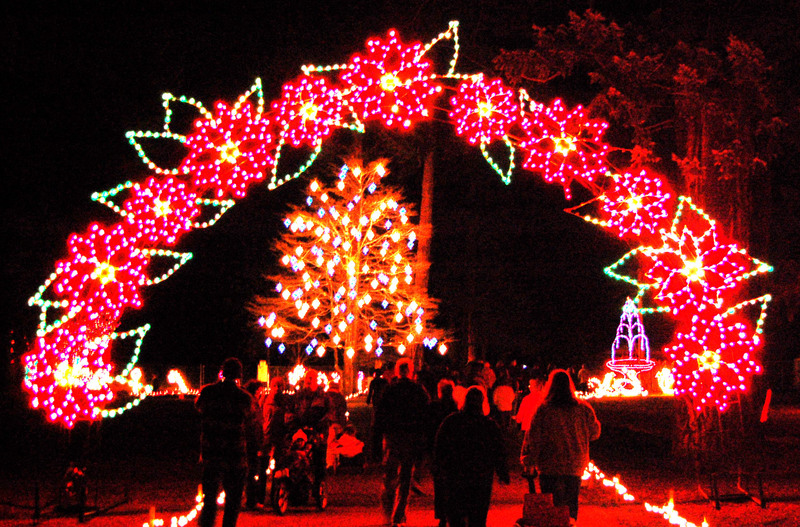 With over a million lights on display and literally dozens of attractions, you could spend a weekend exploring the North Sound's huge holiday lights festival (and some people do; you can also book a hotel room right on the premises). It includes live music, story telling, a petting farm, pony rides, train rides, local art, gifts, snacks and — drum roll, please — Washington State's only talking Christmas tree. Details: Tickets cost $11–$16; free for kids ages 3 and younger. AAA members get a $2 discount. Open Dec. 1–4, 8–11, 15–18, 20–23, 26–28 from 5–10 p.m.
Add some sparkle to the holidays with the animated holiday light display at Country Village Bothell which features a 40-foot sea serpent, giant dragonfly, fiddling pig and marching ducks. On Saturday, Dec. 3, children can celebrate Santa's arrival with a traditional tree lighting, caroling, a gingerbread house display and of course a visit with the red-suited guy. Santa will arrive on a float at 7 p.m. to visit, hand out candycanes and light the tree. Live reindeer are also in attendance (10 a.m.–6 p.m. daily), check out Santa's workshop; and attend special events such as Cookies with Mrs. Claus and Fun with Frosty. New this year is "Santa Arrgh-rival, A Pirate X-mas" on Dec. 10. The pirates of treasure island will arrive at 7 p.m. and Santa will walk the plank and light the country village pirate ship! Details: Light display and other holiday activities daily from Nov. 12–Dec. 24. See the schedule. Santa’s arrival at Country Village occurs on Saturday, Dec. 3. Pirate Santa arrival on Saturday, Dec. 10. Snack or dine at Country Village's many restaurants including Carolina SmokeBBQ, or Village Hot Dogs. Candy Cane Lane, Seattle's Ravenna neighborhood: An old-school neighborhood light display, Candy Cane Lane lights up N.E. Park Rd. off 20th Ave. E. and Ravenna Blvd. Crowds form every year to view these homes that residents have been decorating since the 1940s. Drive through, or park and walk to avoid a wait. It's typically open from early December to Dec. 31, from 4–11 p.m. Free. Find it: Ravenna Blvd at 21st Ave. E.
Olympic Manor, just north of Seattle's Ballard neighborhood: Midcentury architecture and lots of holiday spirit draw huge crowds to the annual holiday light display in Olympic Manor, a neighborhood of gently curving streets in northwest Seattle. Drive carefully, as cars are creeping along and drivers are looking at the same time as driving, or opt to park and walk through the neighborhood. Find it: Entrance at N.W. 85th St. and 23rd Ave. N.W., Seattle. Kerry Park Viewpoint, Seattle's Queen Anne Hill neighborhood: A driving tour through the picturesque, historic homes of the Queen Anne neighborhood is always a treat, but it is particularly striking when the holiday lights are on display. Residents put on some spectacularly sparkly shows. Top it off with a stop at the Kerry Park Viewpoint for a panoramic view of the neighborhood, along with a glimpse of the Christmas tree topping our beloved Space Needle. Find it: Kerry Park is at 211 W. HIghland Dr., Seattle. Evergreen Christmas Lights show, Bothell. A reader tipped us off to this great lights display, with cookies, cocoa, candy canes and train display. Free. Nightly 5-10 p.m. thru Jan 1. Info at twitter.com/#evergreenlights. Find it: 3429 240th St. S.E., Bothell. Timberline Neighborhood, Sammamish: Another neighborhood that gets a lot of buzz each year is Timberline in Sammamish. Residents deck out their homes in light displays, and past years have included a Grinch House and the Polar Express Station. Find it: N.E. 42nd St. and 204th Ave. N.E.